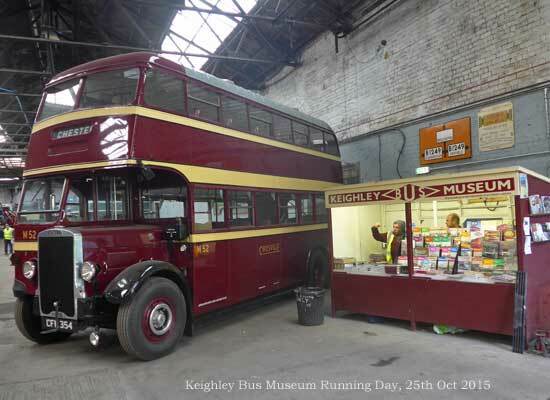 The Keighley Bus Museum is in an old mill building not usually open to the public. 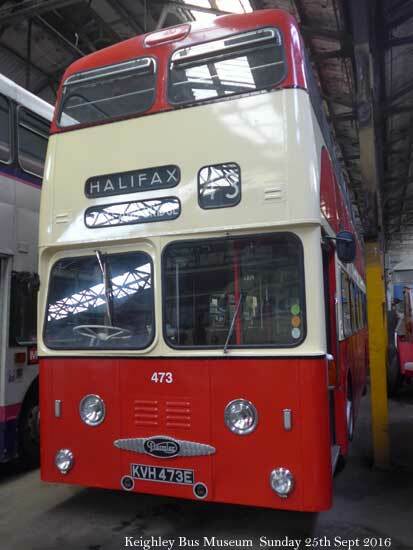 It contains about 70 buses in various states. 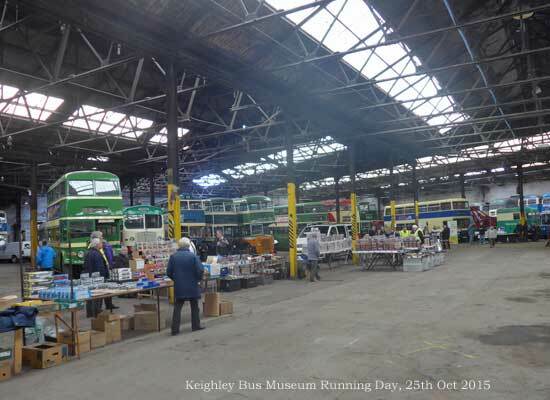 On Sunday 25th September they had an Open Day. 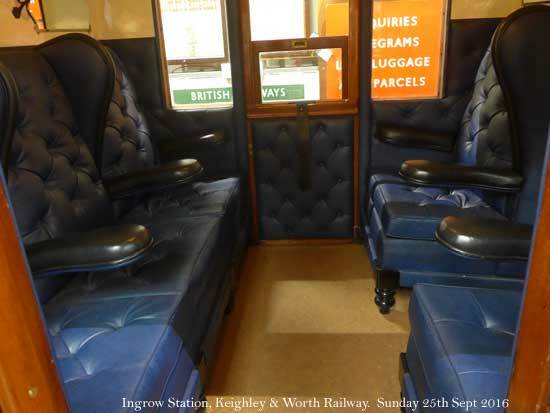 A visit to Ingrow Station and Carriage Museum was also made. 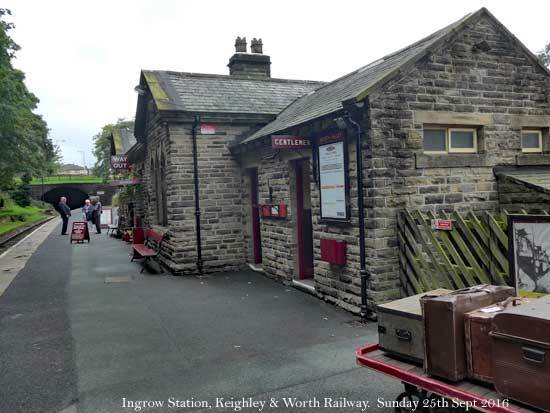 Ingrow Station is about a mile south west of Keighley. 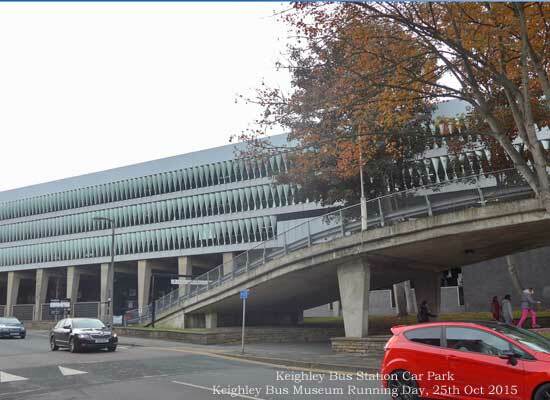 There is a small station with a tunnel at the end of the platform. 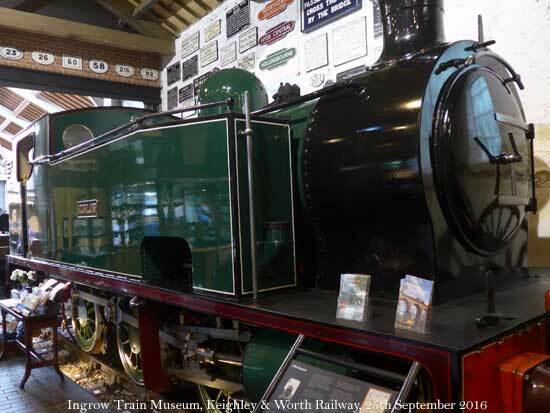 Also a Museum of the Train which has a couple of locos and lots of rail items plus a workshop. 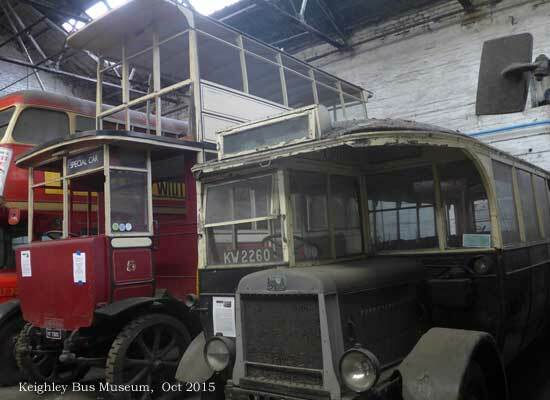 Also a Carriage Museum with a number of rail carriages that you can enter covering first and 3rd class. 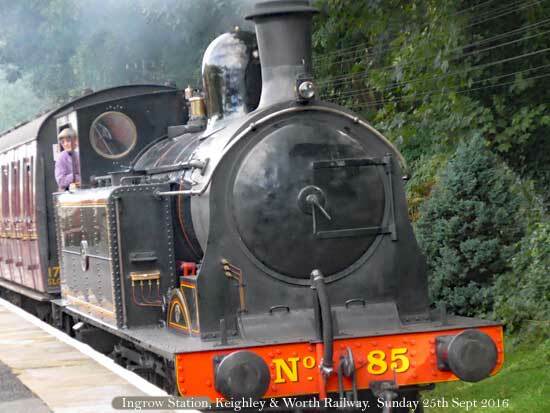 There are regular steam and diesel trains on the heritage route. 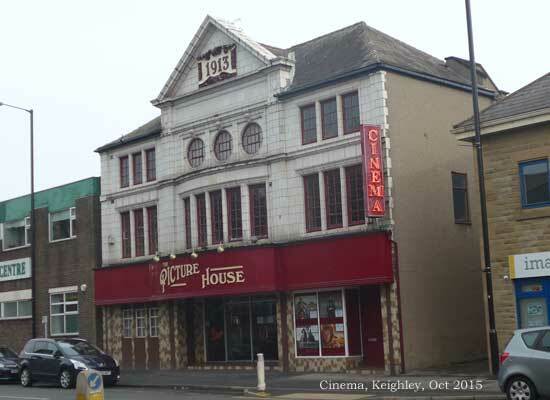 The station building came from Foulridge just across the Pennines when they closed the Colne to Skipton line. 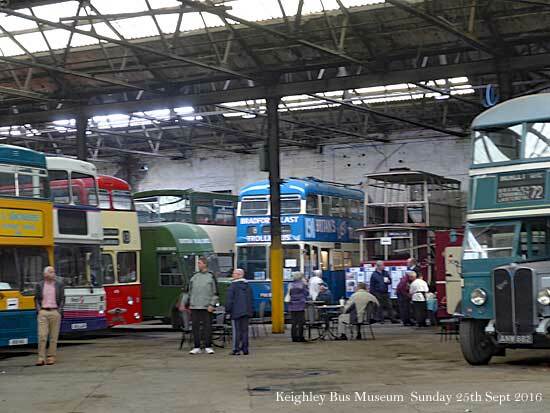 The Keighley Bus Museum is in an old mill building not usually open to the public. 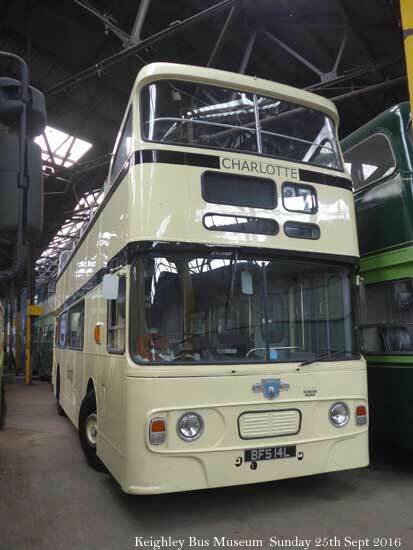 It contains about 70 buses in various states. 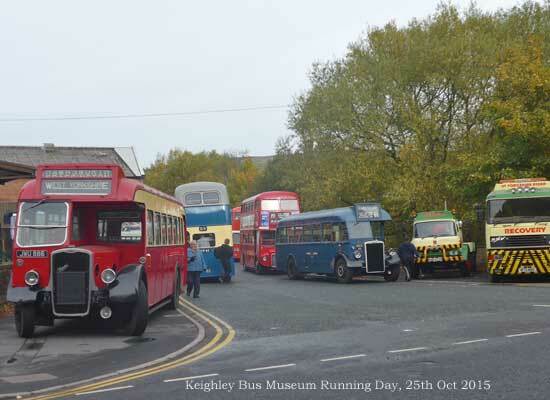 On Sunday 25th October they had an Open Day and Twilight Running. 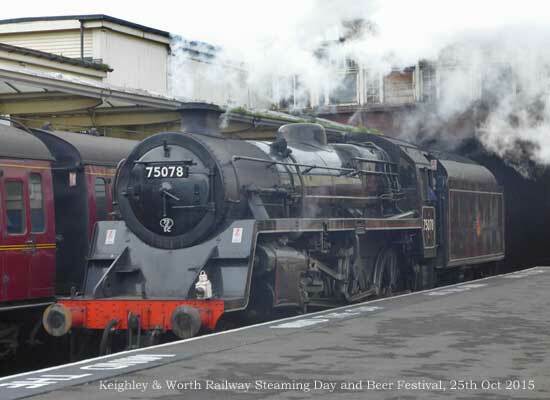 Also on that day was a Keighley & Worth Valley Railway Beer Festival and Steaming Weekend. 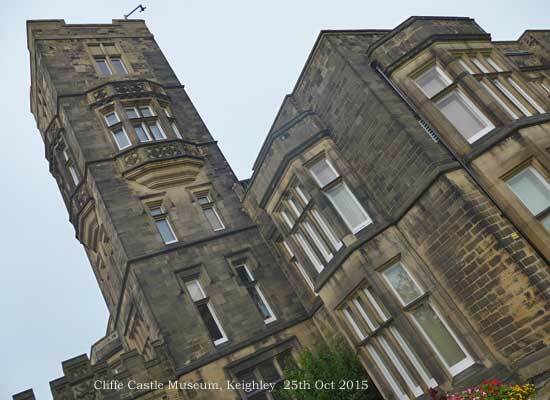 The Cliffe Castle Museum & Art Gallery is Keighley's cultural building containing a wide range of exhibits well displayed and some of the former setting of the original owner, a wool mill owner. 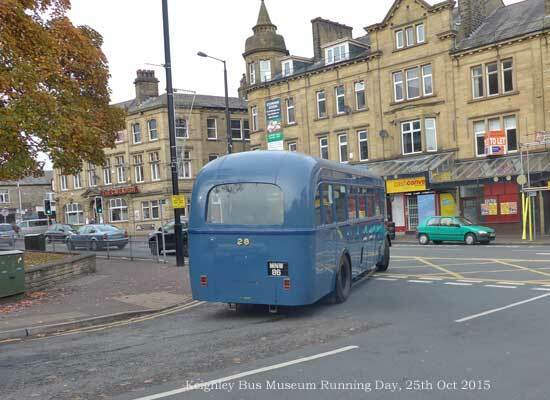 Keighley & Worth Valley Railway terminus on Keighley Station. 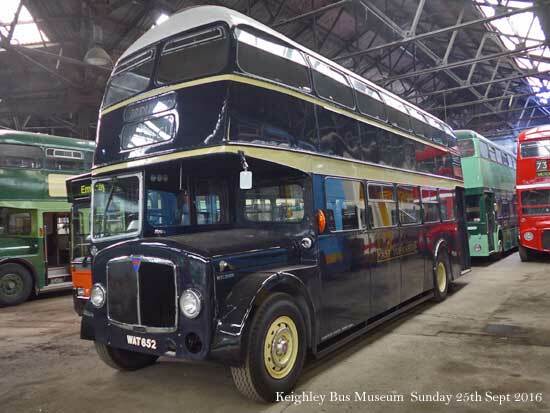 This is a wartime austerity loco, one of the few remaining of hundreds built. 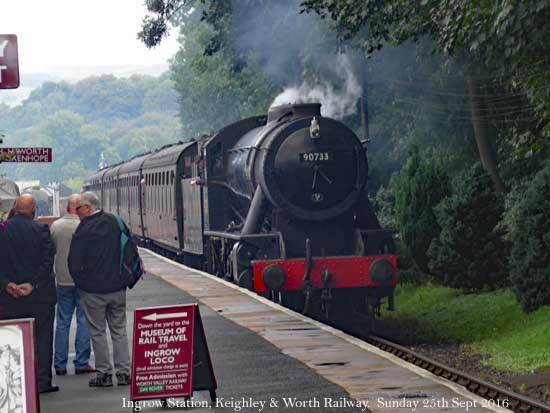 Trainspotters would dislike these common, slow freight trains but now they're gold. 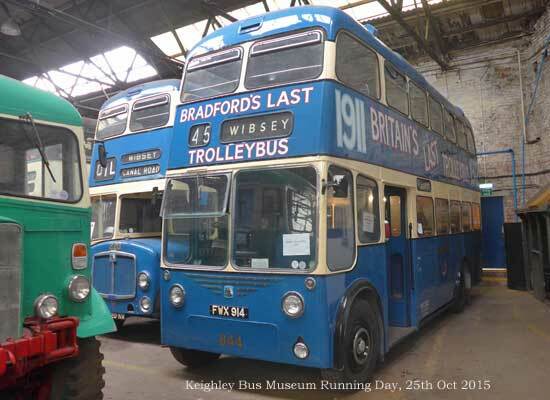 Keighley Trolley Bus and Leyland Lion await restoration. 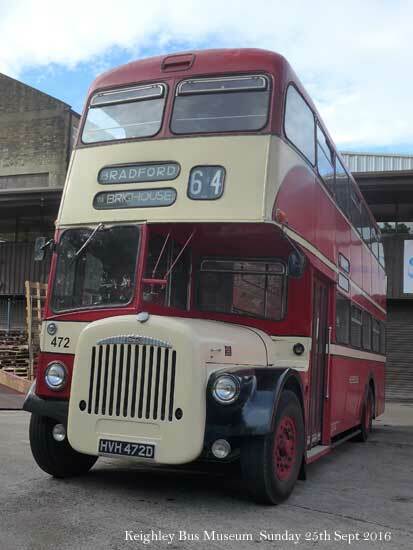 Keighley Bus Museum is looking for a volunteer joiner to help restore this double decker trolley bus. 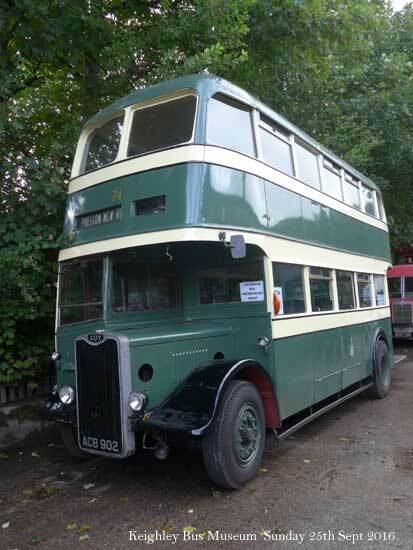 Solid tyres and an open staircase at the back. 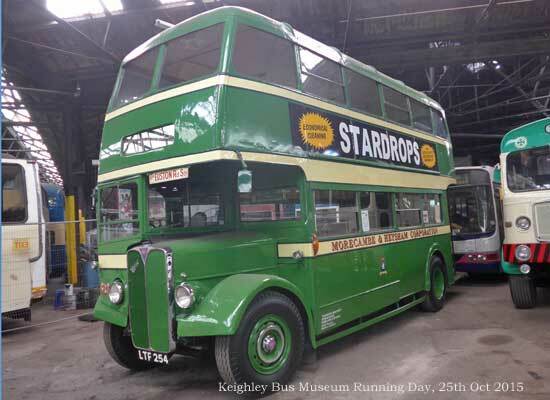 It's the only one left and would be a magnificent exhibit if it was restored. 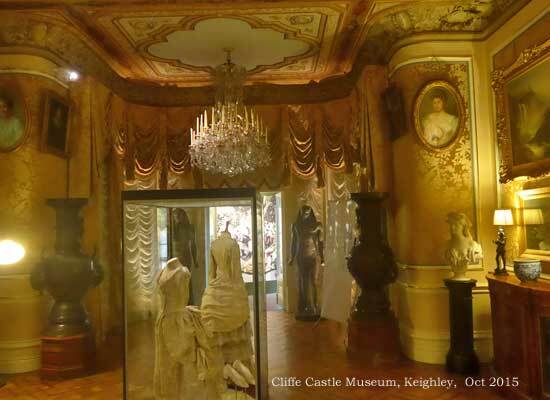 Cliffe Castle Museum exhibition. 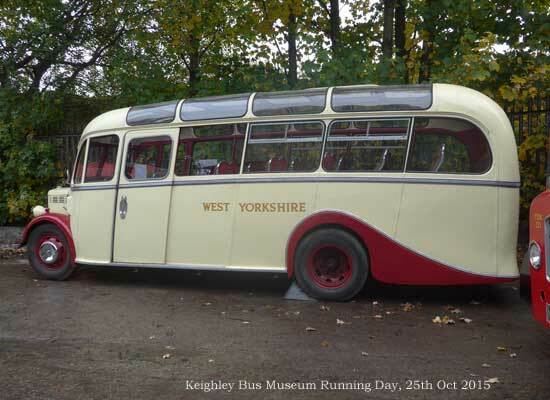 Built by a wool mill owner and offered to Keighley Council in 1950. 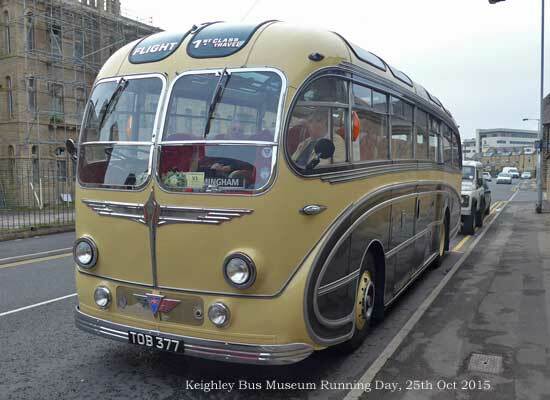 There is now a very broad range of exhibitions very well presented for all ages. 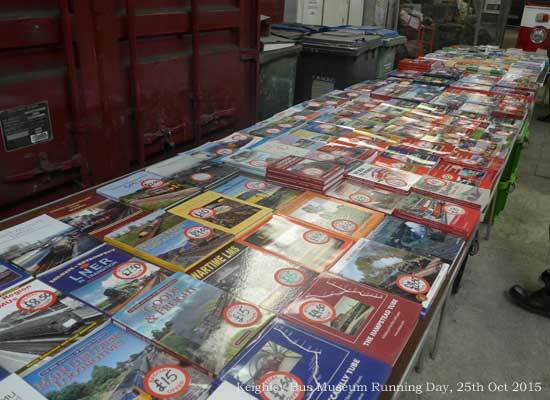 Also a good art collection. 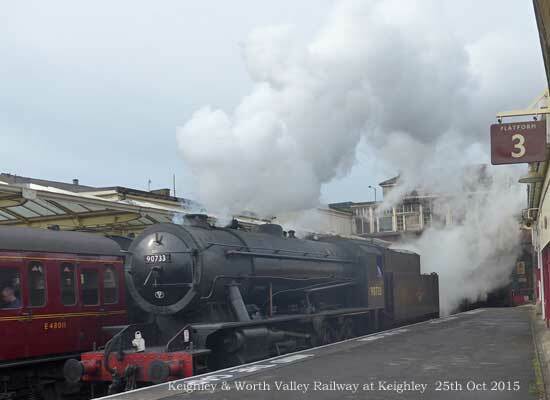 Keighley & Worth Valley Railway. 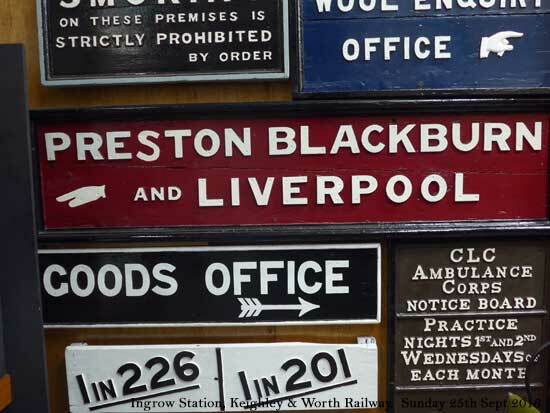 'Standard' type built after the war as a standard for the whole of the newly formed British Railway. 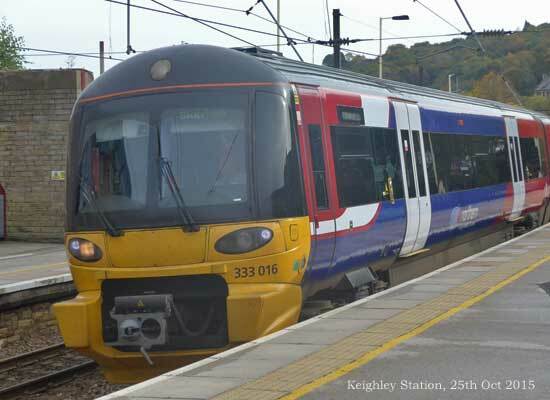 Keighley Station electric train, Northern Rail, Leeds to Skipton service. 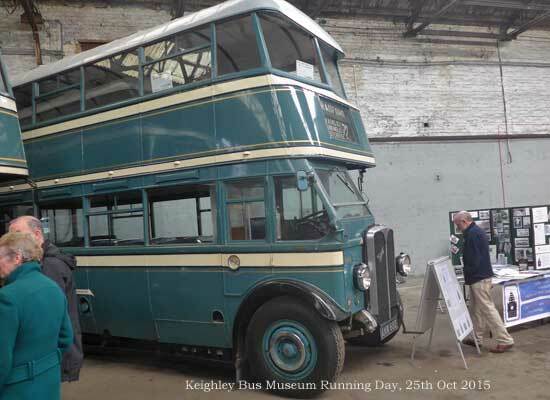 Dalton Lane Mill next to the Bus Museum, an attractive building.